Attention: The person in charge of booking trips for primary aged children. Contact: For information about booking a group day trip or a fundraising event at Balls of Fun, please call June, the Gym Coordinator, between 9:30 a.m. – 3:30 p.m., Tuesday – Friday. 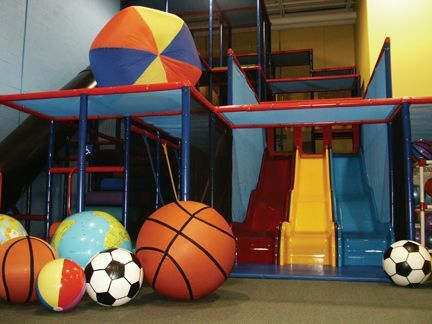 Balls of Fun is North America’s only children’s ball gym. We have been bringing ball activity to the community, schools, daycares, camps and mom’s group for ten years. 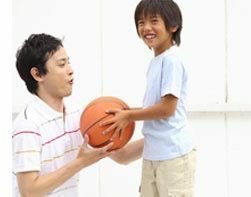 Created and developed by a qualified and experienced elementary and secondary teacher, this gym is designed to enhance gross-motor development and ball skills. This 7,000 square foot gym is a safe and clean environment for your group. Balls of Fun changes it gym equipment monthly to provide children with new opportunities to practice ball play. Therefore, your group may experience new ball themes each visit. pizza lunch, or you may bring your own peanut and nut free food into the eating area and party room. During the summer we have limited spaces available for group trips; call us to make Balls of Fun a part of your summer itinerary. During the school years, Balls of Fun provides many schools, daycares and mom’s groups with a large space to conduct gym class. Your group can also just be active together playing in the structure, with the balls, and with the gym equipment! Check out the Balls of Fun website for more gym information, and take a look at the attached Active Trip & Fundraising Contract. ( a two hour event, between 3:30 p.m. – 7:30 p.m., on a Tuesday, Wednesday or Thursday). ($12.00 tax included, per child); then half of the admission price goes back to the school for their fundraiser ($6.00 per child). Visit or call us to see why Balls of Fun is the destination that more and more schools, daycares, camps, and mom’s groups choose for a safe, fun and active time together!